Canoe the Wild owner and operator Dave Conley can take care of all trip logistics and provide all necessary canoeing and camping equipment to make your trip safe and enjoyable. Contact Dave for inquiries, to make a reservation, or discuss your next canoe trip in Maine with Canoe the Wild. Contact Dave online or call/text 207-551-8729 for more about our trips and what we provide. 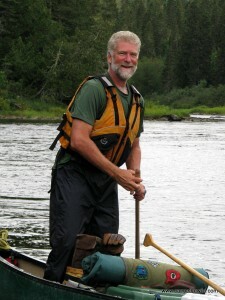 Dave Conley, Master Maine Guide and owner of Canoe the Wild, has been paddling the rivers of Maine and Canada since 1985. During the school year, Dave teaches an outdoor education program at East Grand High School in Danforth, host to the annual East Grand Adventure Race. In the fall, guided moose hunts are offered in northern Maine. Tammi Matula is a natural on the river and great at making guests feel right at home in a wilderness setting. 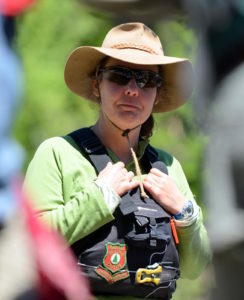 A Registered Maine Guide, Tammi has certifications in Wilderness Advanced First Aid, and Wilderness First Responder. 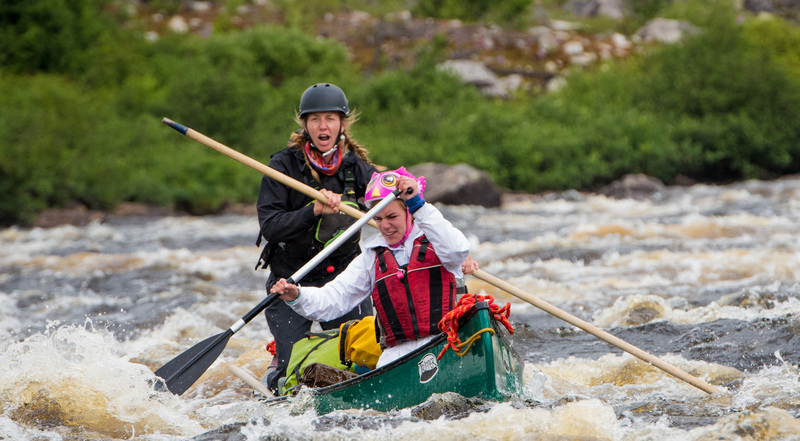 Extended big whitewater canoe trips in north western Canada to leisurely remote weekend trips closer to home, Tammi has ‘done it all’ including the Allagash, St. Croix, Moisie, NE Mistassibi, de Pas, Mountain (NWT), and Bonaventure Rivers. During the school year, Tammi’s tamer side has her teaching physical education at East Grand School with an emphasis on the outdoors and recreation. Tammi also team teaches the outdoor education program with Dave at East Grand School. 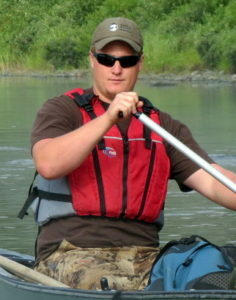 We welcome Canoe the Wild’s newest guide, Nate Smith to the team! Nate grew up paddling and hiking in southern Maine, and for the past 8 summers has been guiding wilderness trips and teaching outdoor education with Camp Chewonki. He’s a Registered Maine Guide and a Wilderness First Responder, and trained in Swiftwater Rescue through the American Canoe Association. Between 2015 and 2017 he taught English abroad in Chile, Nepal, and Austria, and is now back home teaching High School Social Studies and pursuing a graduate degree in Teaching and Learning at the University of Southern Maine. When he’s not canoeing he enjoys music, cooking, foreign languages, and playing with his nieces and nephews. Andrew Gibbs has a passion for the outdoors spending as much time as possible during the different seasons fishing, hunting, trapping and paddling. 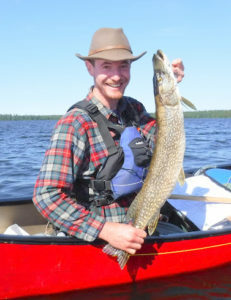 Andrew’s schedule allows him to take part in canoe trips during the summer months. Right at home in the outdoors, Andrew has a calmness about him that puts people at ease. Recently Andrew obtained is OUPV license for guiding sea duck hunters. A Registered Maine Guide since 1999, Lisa has guided canoe trips on the Rio Grande in Texas to the Gaspe Peninsula of Quebec. Lisa’s passion is the art of canoe poling, a Maine Guide tradition. It was taught to her by old time guides and is passing the tradition along as a Canoe guide for Winona Camp for boys in Bridgton Maine when Lisa is not guiding for Canoe the Wild. Lisa’s husband Jeff is also a Master guide and they have a 14 year old son named Elijah, whom they enjoy passing along these outdoor traditions too. Lauren has more than 8 years of professional experience in outdoor-based youth and community development work in Vermont and Maine. She has experience leading multi-day backcountry expeditions in varied environments, from the lakes and trails of Maine to the mountains of the Gaspé in Québec. Her favorite activities include cross-country skiing, running, SUPing with her dog, and doing yoga outside. When she’s not outdoors exploring she teaches Maine’s next generation of outdoor leaders at the University of Maine. 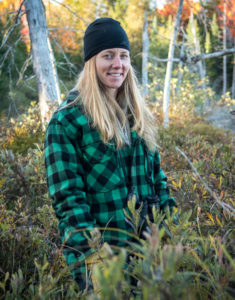 Lauren is a Registered Maine Guide, Wilderness First Responder, ACA Level 2 Stand-up Paddle Board Instructor, and USSA Level 1 Cross-Country Ski Coach. Paul Domigan a lifelong outdoorsman and has been in love with the Maine wilderness since childhood. 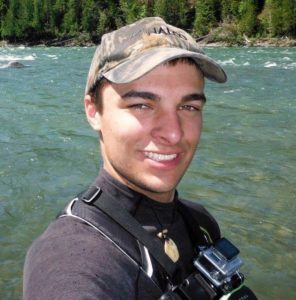 Paul is a Registered Maine Guide, a Licensed Camp Trip Leader, and a Trip Leader Instructor. He has earned certifications in Wilderness Advanced First Aid, and Wilderness First Responder from the Wilderness Medical Association. 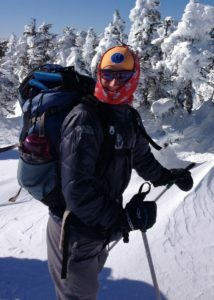 Paul is a member of the Maine Professional Guides Association and the Maine Wilderness Guides Organization. Paul has been a long time resident of Andover Massachusetts and has been married to his college sweetheart for 37 years. He has four adult children, all of whom are wilderness campers, and nearly four grandchildren. Paul has been an active leader in his church and a Boy Scout volunteer for many years. In the off-season, Paul is enrolled at Gordon-Conwell Theological Seminary in the Marriage and Family Therapy track after a long career in engineering and business. Paul is a graduate of UMass/Amherst and MIT. Vance Gustin, a registered Maine guide, took his first canoe trip down the St. Croix River with Dave at the age of 11. 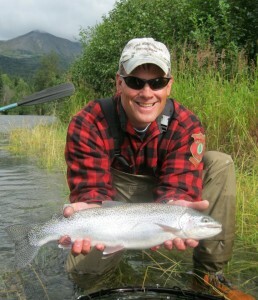 A dedicated fly fisherman, Vance loves the wilderness and chasing wild brook trout and salmon all across the state. Vance is also an ardent lover of swift waters and holds a Maine whitewater Guides License Level II. Whether you like a quiet sunrise paddle across a lake or a heart pounding whitewater adventure, Vance is happy to help you discover the joys of being outdoors in Maine. Vance has a B.S. in Chemical Engineering, E.I.T., and is currently a Graduate Research Associate at the Ohio State University, William G. Lowrie Department of Chemical and Biomolecular engineering. Eventually Vance hopes to teach at the collegiate level.